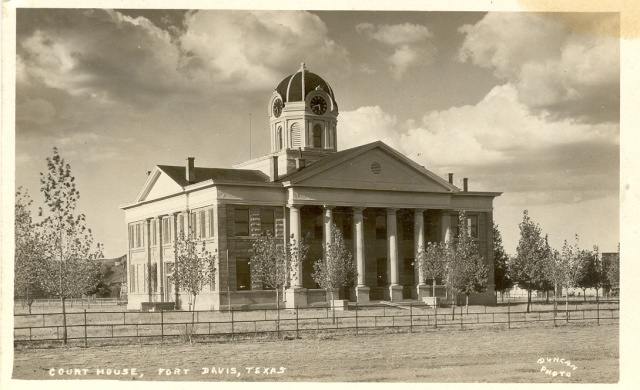 This month, we’re highlighting Jeff Davis County Courthouse in Fort Davis. The 1910 Classical Revival courthouse with a Beaux-Arts clock tower was designed by Dallas architect L.L. Thurmon. 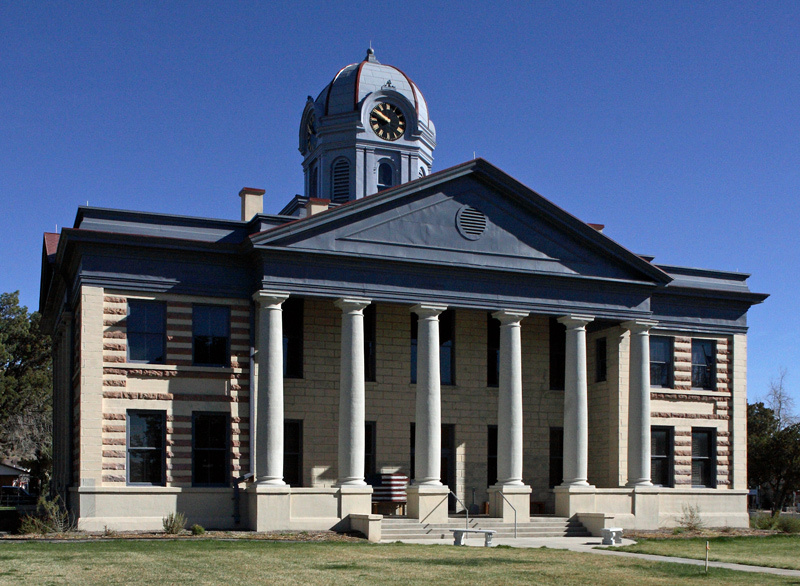 The courthouse has a unique appearance, which is the result of Thurman’s construction technique of using formed, poured concrete with insets of local stone to create a polychromatic effect on the exterior walls. The clock tower features a Seth Thomas clock that was one of only a handful of manually operated clocks still in existence in the state until improper winding damaged a gear. 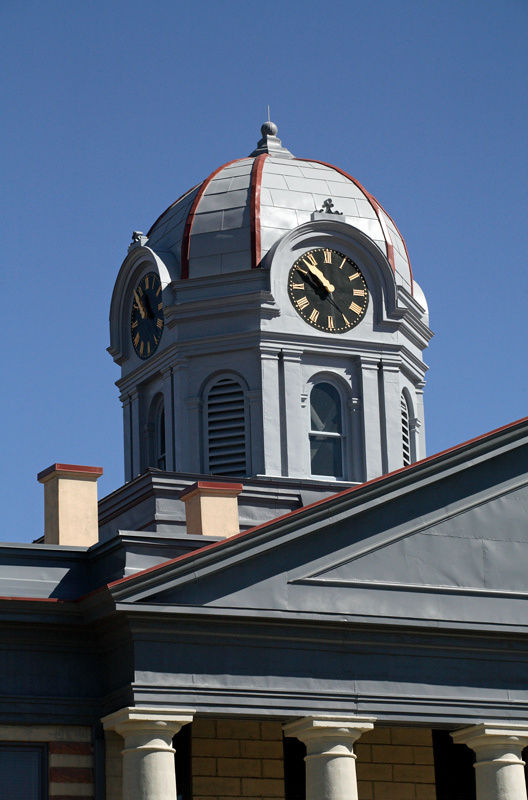 The repair was addressed during the courthouse’s 2002-2003 restoration by the Texas Historic Courthouse Preservation Program (THCPP), when an automatic rewind system was installed to eliminate the need for county personnel to climb the clock tower dome to rewind the clock. Additional restoration work included upgrades to electrical, plumbing, and mechanical systems, and accessibility improvements such as the installation of an elevator. 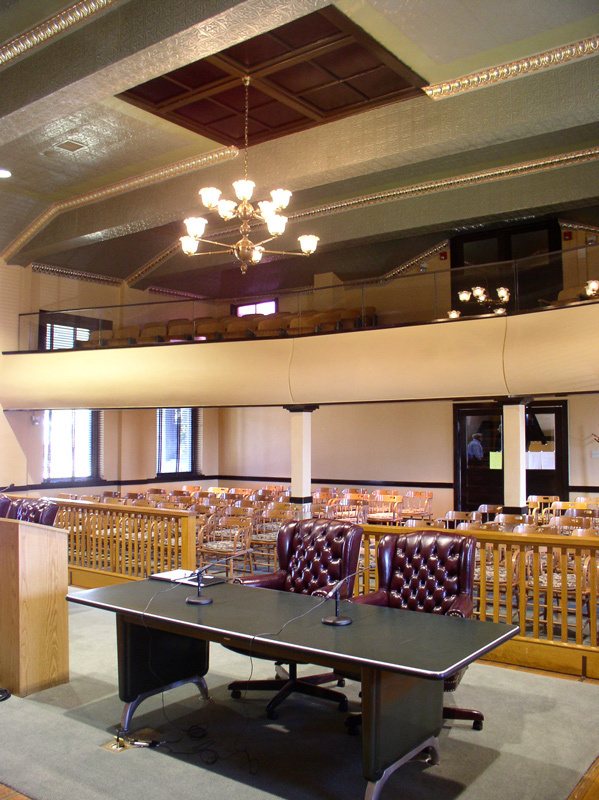 In the district courtroom, unique faux wood finishes, polychromatic metallic paint gilding the pressed metal ceiling, and original furnishings were restored, along with reconstruction of the 1910 balcony. A new metal shingle roof, sheet metal repairs to cornices, and repairs to windows, doors, and masonry completed the project's exterior work. View more images of the Jeff Davis courthouse in the photo gallery below. 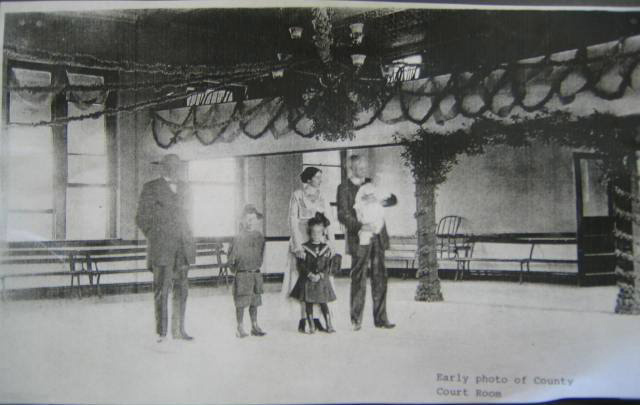 To read more about the history of the courthouse, visit the Texas Mountain Trail website. The Texas Historical Commission (THC) is now accepting applications for the THCPP’s Round IX grant cycle through January 8, 2016. The program received a $20 million appropriation from the 84th Texas Legislature for the 2016–2017 biennium. 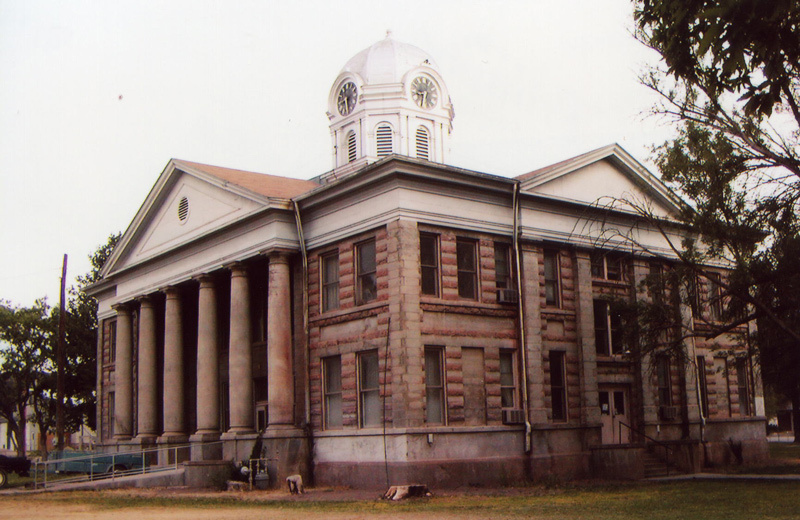 Through matching grants, the THCPP helps preserve and restore Texas’ historic county courthouses to their original splendor and make them safe, functional, and a source of pride for Texas communities. To learn more about the benefits of restoring historic courthouses, download a free copy of the THC’s Courthouse Cornerstones (PDF) or visit the THCPP online. 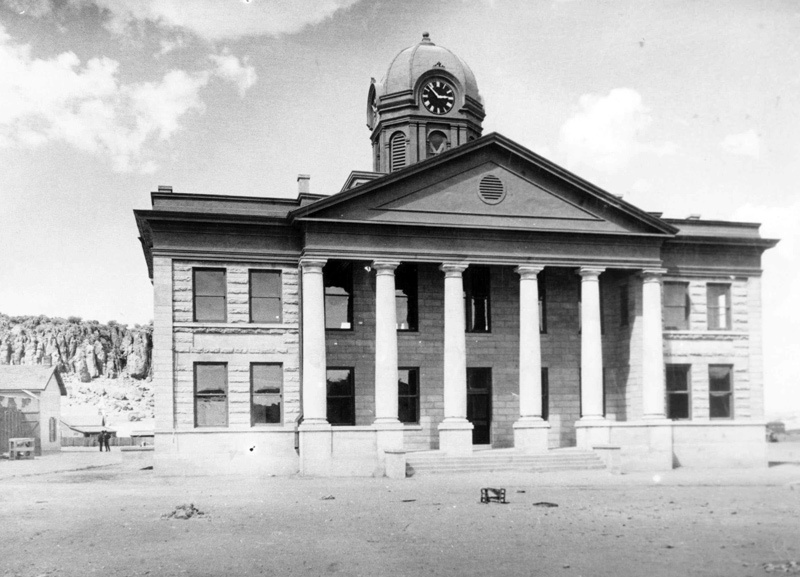 Jeff Davis County Courthouse, circa 1910.